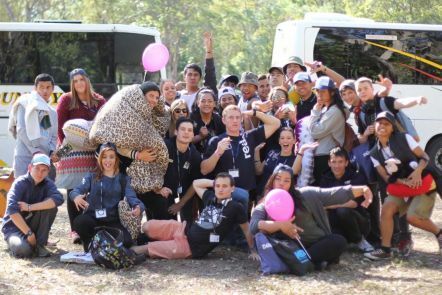 Our Year 11 & 12 Explore Uni camp is a fully funded experience, offered to select schools. 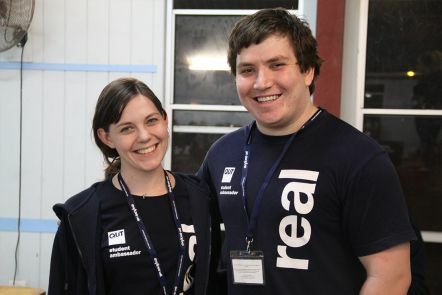 Students visit QUT campuses and events, participate in interactive activities, and get the information they need to make decisions for when they finish school. 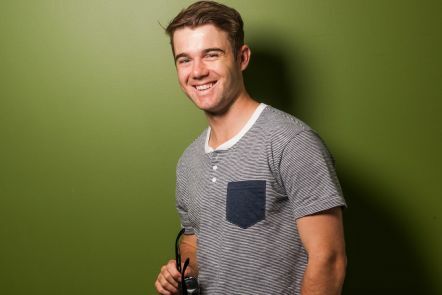 Luke Stutter shares his story of how a QUT admissions pathway helped him secure a place at university. We invite students from Year 6 to 12 to come onto campus and participate in Explore Uni days. The day includes a range of talks and hands-on activities to dispel myths about university. 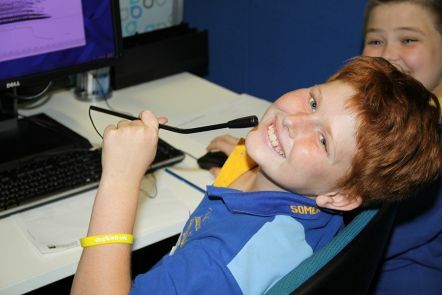 The Explore Uni Program employs a diverse range of QUT students who aim to inspire and encourage students from years 6 to 12 to consider tertiary education as one of their post-school options. 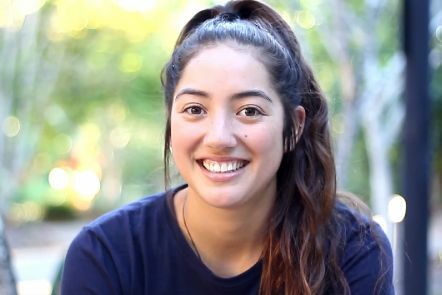 Student Ambassadors from Pasifika backgrounds talk about why they chose a university pathway. Despite the challenges and balancing study, work and family life, these proud Pasifika students are finding success at university and share their stories. We have long-standing outreach, admissions and support programs for under-represented groups, with a particular emphasis on low- SES , rural and Indigenous students. We are dedicated to increasing enrolments from students who may not feel that they have the opportunity to study at university. Our activities guide includes information on all of our in-school and on-campus activities for partner schools in 2019. Each year, we have opportunities for Year 6-12 students to visit us, or we can organise to visit schools. All of the activities in this program are either free or heavily subsidised and are only available to selected schools in North Brisbane and Sunshine Coast South areas. Contact Explore Uni for more information. Moreton Bay has a large and rapidly growing Pasifika community (encompassing Maori and Pacific Island peoples), which faces financial, cultural and language barriers to education, and is under-represented in higher education. Students from Pasifika backgrounds may lack tertiary education role models and the relevant information to assist them to access tertiary education. To address this, QUT has partnered with selected Moreton Bay secondary schools with high numbers of Pasifika students, and the local Pasifika community. In 2013 and 2014, with the help of a QUT Engagement Innovation Grant we delivered a range of culturally appropriate initiatives aimed at enhancing Pasifika school students' educational outcomes and higher education aspirations. Key aspects of the program will continue in 2015 and 2016 with funding from the Higher Education Participation Program (HEPP) under QUT's broader widening participation agenda. an enhanced understanding of Pasifika cultural perspectives and educational needs among preservice teachers, academics and professional staff at QUT to enhance retention and success once at university. If you would like more information about this program contact Equity Services. If you're a New Zealand citizen and hold a special category visa, including Pasifika peoples who came to Australia as New Zealand citizens, you may be eligible to apply for a HELP loan if you meet the eligibility requirements. Check StudyAssist for more information about HELP loans for eligible New Zealand students. We've prepared materials to help students and parents plan ahead for tertiary study. These include information about our Equity Scholarships and a selection rank adjustment opportunity, which New Zealand students can apply for. If you would like a copy of either brochure, email Explore Uni. Each year students in years 10-12 from QUT WP Partner Schools receive Student with Potential awards. The awards program aims to provide encouragement and support to those senior students who, for whatever reason, are performing below their full potential at present. It is hoped that by acknowledging these students' potential, they may be encouraged and inspired to think more broadly and more positively about post-school study, and to take their current studies more seriously. The program also engages the students with potential in a range of additional activities (campus events, targeted correspondence and school visits) as well as further engaging participating schools in other widening participation projects. This also serves to strengthen the partnerships between QUT and participating schools under QUT's widening participation agenda. The award consists of a certificate, signed by the Deputy Vice-Chancellor (Academic), and a $100 Westfield gift voucher. Each award recipient and their family are also invited to a celebratory luncheon held at QUT. This activity allows QUT to acknowledge the recipients further, to offer them an opportunity to see a university campus, provide assistance with QTAC applications and talk to university students and staff about their post-school options. As part of QUT's widening participation activities we provide career development services for schools and communities in the Caboolture region. These activities are part of a federal government initiative aimed at increasing participation in education. Career development workshops and information for students from years 6 to 12. Professional development for teachers and resources for in-school career development. Online careers hub at Project U. For more information and to find out how your school can get involved, contact our Your Future Careers Team. QUT offers free, impartial and confidential career information to people from the Moreton Bay region considering any sort of future study - TAFE or university. Make an appointment to see our qualified careers counsellors, contact our Your Future Careers Team. You to Uni is an online resource which provides information about bridging programs, pathways, costs and events for all Queensland universities. To find out more about the latest careers activities visit You to Uni. completed high school a long time ago. We are collaborating on this project with Griffith University. The project included the now decommissioned Bridge to Study website. If you're studying a Certificate IV in Adult Tertiary Preparation (ATP) at TAFE Queensland Brisbane Southbank campus or senior studies at Coorparoo CCSE in, 2019 you have the opportunity to apply for a $600 Adult Learner Encouragement Bursary. We provide these bursaries to low-income students to assist with education expenses and encourage them to complete their studies and go on to further study at TAFE or university. Applications close at 4.30pm on Friday 26 April 2019. For schools and partner organisations, these documents provide a rationale for our widening participation program, and an overview of the program, including key milestones to date. QUT is also the lead institution for the Queensland Statewide Consortium, which is a collaboration of Queensland's eight public universities and the Department of Education to undertake a range of widening participation activities. The MOU (memorandum of understanding) outlines these activities, which are funded by the Higher Education Participation and Partnership Program competitive grant of $21 million. In 2013, the Queensland Consortium presented at the European Access Network's (EAN) World Congress on access to post-secondary education in Canada. As part of the presentation, we distributed information on a range of projects and partners.